Recently I completed an ASP.NET MVC workshop where we discussed several advantages of using jQuery in MVC. During the session, one of the attendee wanted to know how to filter data in the ‘Index’ view based upon the matching search string passed from the view. In this article, we will see a simple solution for this problem. Here I have used jQuery for the scripting on the client side. 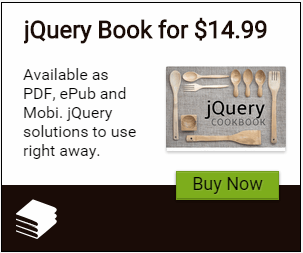 The $.ajax method of jQuery is used to make asynchronous calls to the controller action method to fetch the filtered data. For the application, I have used Sql Server 2008 R2 with database as ‘Company’, Visual Studio 2012 RC and MVC 3. The below table I have used for the application. Editor’s Note: The Web.Config in Github is configured to connect to (localdb)\v11.0 change the Data Source entry in the connection string to point to your SQL Server database. 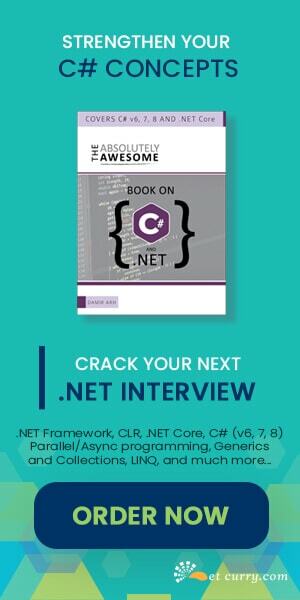 Step 1: Open VS and create an ASP.NET MVC 3 Application, name it as ‘MVC3_MasterDetailsUI’. Add the model using ADO.NET EF for the above EmployeeInfo table. Note that Index method with Http Post, returns a Partial View. We will be creating this in the upcoming steps. Step 3: Add a new Index View in the project, by right-clicking on the Http Get Index action method, select the scaffold template as ‘List’. This will show the Employee data in the Tabular fashion. This will add a new ‘NewEmployee’ folder as a subfolder of Views folder in the Project and the Index.cshtml in it. Step 4: Right-Click on the NewEmployee folder and add a new strongly-typed partial view which has Model class as EmployeeInfo and the scaffold template as ‘List’. Name this partial view as ‘EmployeeInfo’. Note that the Index method with HttpPost returns this partial View. The Keyup event of the textbox is used to trigger an Async Postback. When the text is entered in the textbox the table ‘tblData’ is hidden and the ‘empInfoDetails’ div tag is made visible. The event makes an asynchronous POST to the Http Post Index method of the NewEmployee controller and gets the PartialView as a response. This response is shown in the div tag. If the TextBox has no text, then all records will be displayed by making tblData visible again. Partial Views are a handy way of updating parts of a webpage via a Partial Postback. Along with jQuery $.ajax postback, they can be considered as replacement for the UpdatePanel from WebForms world. Fork the code on Github or Download the zip. You load the WHOLE [dbo]. [EmployeeInfo] table and then filter it in-memory ??? Why not let EF/SQL do the filtering ? The ToList() for EmployeeInfoes is extra. We'll fix it shortly. Code has been updated in the repo. MVC jQuery validation is done on the front end (client side), without submitting data to the controller (Server side). So it can save some bandwidth/processing.you also provide good steps related to that. I'm in the procedure of spinning mikesdotnetting.com using the ASP.NET MVC structure. It's an exciting encounter, in that this is my first contact with MVC. The first hurdle I experienced was how to complete information in a sufficient way to Partially Opinions which only signify aspect of the information that is to be shown in the Perspective.